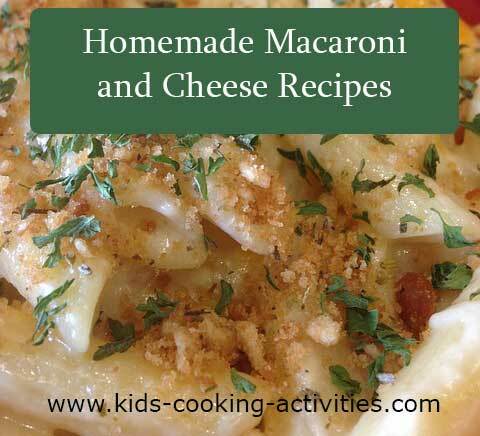 Try any of these homemade baked macaroni cheese dishes for a healthier and creamier version then boxed mac and cheese. Cook pasta. Meanwhile, melt butter in saucepan. Stir in flour, mustard and salt. Cook, whisking constantly. Mixture will thicken. Whisk in milk and Tabasco until mixture is smooth. Cook, until slightly thickened. Stir in cheddar, Gouda and Parmesan cheese until smooth and melted. 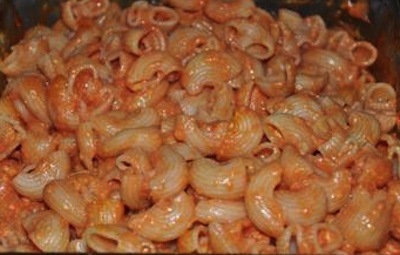 When pasta is done cooking, drain and pour noodles in a baking dish. 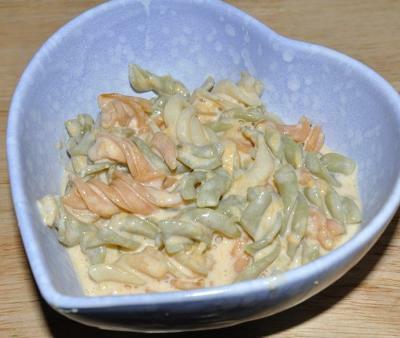 Pour cheese sauce over the noodles and stir until coated. Sprinkle the top with bread crumbs and bake 15-20 minutes. Serve immediately. **Kids will receive a great amount of calcium in this homemade version. They may enjoy this change in macaroni cheese as it isnt processed food out of the box or it may take some getting used to. Spray crock pot liner with cooking spray. Add cooked noodles into crock pot. Measure milk into a large measuring cup, sprinkle in Worcestershire sauce, hot sauce, salt and pepper and stir to combine. Pour over noodles. 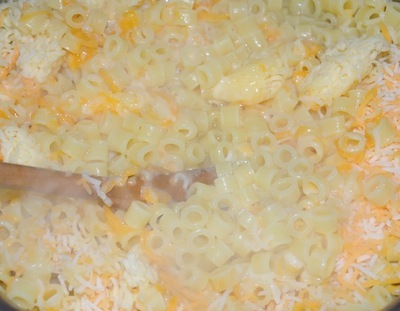 Stir in cheese. Cook on low 4-5 hours or on high 2-3 hours. 8 oz. Longhorn style Colby cheese cubed. Bake at 350 Degrees or until it's not soupy. About 45 minutes to an hour. Note: Longhorn Cheese is a type of mild cheddar cheese.